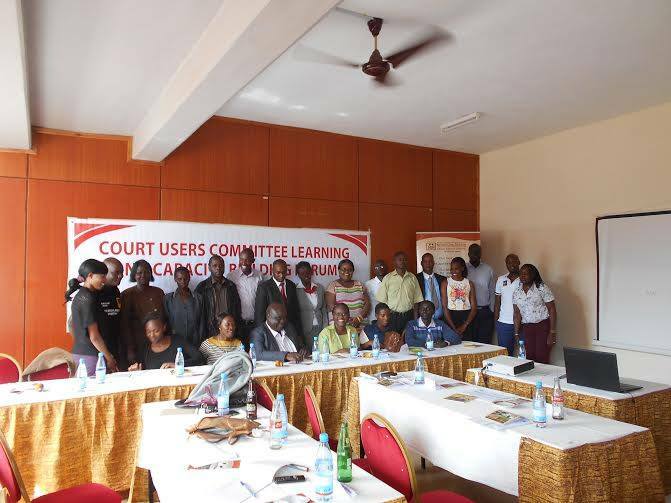 On the weekend of 16th-18th of October 2015 it was time again time for the Western Region to train the Court Users Committee through our learning and capacity building forum. The forum was held at Golf Hotel, Kakamega. 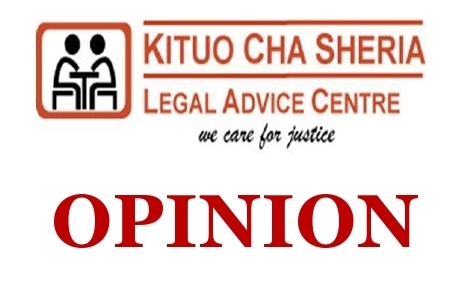 Court Users Committee (CUCs) is a key avenue through which Kituo Cha Sheria can realize its mission of empowering the poor and the marginalized persons to effectively access justice. A total of 30 participants engaged in the training and discussions on sexual gender based violence, refugee law and asylum seekers rights. The participants included Chief Magistrate, magistrates, judges, officers from the office of the Director of Public Prosecution, Children officers, Advocates and officers from the office of the immigration. The training was facilitated by SGBV expert Lydiah Muthiani, resource persons from International Rescue Committee and Kituo Cha Sheria. The training was very interactive. The participants shared their opinions on the subject matter and also gave their time to learn more. We have also learned a lot and look forward to the final Court Users Committee Learning and Capacity building forum in the Eastern region. For the first time in my few years on planet Earth I met a stateless person. I had an opportunity of listening to his experience. The experience entailed how he could not depend on himself despite being a qualified commercial pilot who was born and raised in Kenya. It brought the reality of the difficulty in implementing Sections 15, 16 and 17 of the Citizenship and Immigration Laws (2011). The difficulty is also in implementing the Citizenship and Immigration Regulations (2012). The Universal Declaration on Human Rights (1948) recognizes an individual’s right to nationality under Article 15. Statelessness is therefore a lack of the right to nationality. A stateless person is defined under Article 1 of the 1954 Convention on the status of stateless persons as a person who is not considered as a national by any state under the operation of law. The same definition is given under Section 2 of the Citizenship and Immigration Act (2011). People become stateless because of issues like Renunciation where a person ‘renounces’ the citizenship that they have for different reasons like to acquire nationality of another country. Luckily for Kenya dual nationality is provided for under the constitution. This therefore safeguards our citizens. Another reason is Deprivation where one is stripped off of their nationality because of mostly political reasons. For example the Galje’el community that was stripped off their Kenyan nationality in 1989 and declared non Kenyans following a screening exercise by government security forces. Finally, Loss which happens when a citizen of a particular state is away from their country for a longtime or in instances where there is state succession. Some of the contributing factors are state succession, civil unions and gender discriminatory laws which Kenya is a step ahead since either gender can confer nationality as per Article 14 of the constitution of Kenya (2010). Some of the communities in Kenya that are known to be stateless include the Makonde, descendants of British Overseas after 1983. The Nubian community in Kenya are also said to be persons at risk of being stateless. Take an example where there is a delay of issuance of ID cards the persons who do not have theses identity documents can be persons at risk of being stateless. It is therefore important to get your children registered. If they get a birth certificate then it becomes a great step towards ending the issue of statelessness. If a child is not registered when they turn 18 years old it is a bit harder for them to either get an ID or a passport which puts them at risk of being stateless. When a person becomes stateless he or she is not in a position to access basic human rights like education, health. They are not able to own any property or even at the least despite of any expertise in any area they cannot even volunteer. This percentage of the population is therefore unable to participate fully in the economic, social and political life of the country. Being stateless means not having any identification documents therefore being at risk of arrest because of not being a registered person. It could also lead to generational statelessness where statelessness is passed down to each new generation. Every human being has a right to nationality and this right is equal to all the other rights. 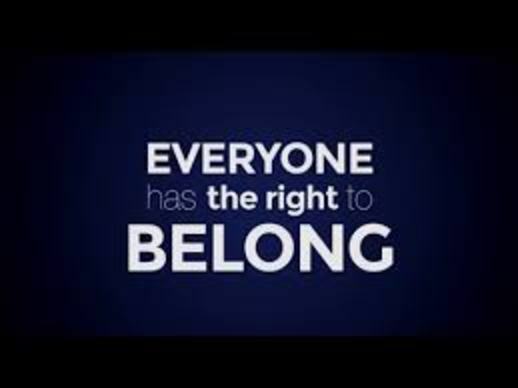 It shows an individual’s sense of belonging to a country, the power to say ‘iBelong’. In the Kenya today, it is no longer surprising to wake up to non-issue headlines. Not about public and private land management, not about the suffering of those languishing in guilt over their actions. Just about three to four individuals – maybe specialized propagandists seeking individual fame or power, or on another level, agents of their masters. Surprisingly, majority of these masters or agents do not have interests of the society nor their tribes at heart – despite shouting from their tribal cocoons! Whereas there is a shift in focus to the fame and well-being of a countable few, many Kenyans who may be suffering still continue to rot. There is a forgotten category of Kenyans that is worth mentioning. 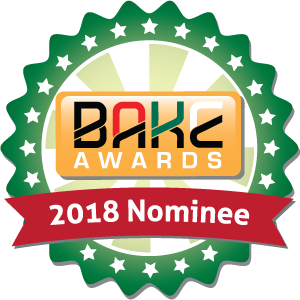 A category that “Our Community” and tribal gods would rather if they’d shut their mouths to the end of time. Those who know have wronged their neighbours in the past; languishing in guilt. The category that sees their neighbours in suffering – for their deeds and for a few individuals’ interests – and it pains them. They seriously want to reconcile with the neighbours, but lack a forum. They are scared of the uncertainty. Who is talking about them? We are better off minding our businesses, and those of our tribal gods as fanatics in a frenzy. “………I did a lot of things. I participated in causing physical injury to a person I know. I do not think he knows I did injure him. It was at night, I was in a group of people. I also took people’s property. I never thought they would come back again. I draw this fear from experience. This person I took iron sheets-a roof off his head- and household goods from when he was displaced. I put a roof over my head; a house redone. When he returned, his suffering hurt me; I could not bear with it a second longer. I climbed up the roof of my house, removed the iron sheets and approached him. I wanted to return his property. He couldn’t take them back. The reaction unexpected, a neighbour not interested. He went ahead to tell other people, on my confession. Additional guilt and pain onto me, forever with this fear of further confessions of my misdeeds. I’m fearful my actions will never be forgiven by my victims-neighbours I live with. But I want to confess and seek forgiveness. I need a forum. I do not want to be taken to court, but I want to confess. I have lost a lot of weight and I am not comfortable with this. There are many of my friends we were together with in displacing people in our area. Some of them, like me, want to confess. I know three of them who want to confess. When we meet and talk, we feel sorry for what we did-remorseful, seeking healing. Whereas the Kenyan society should focus on finding solutions for such and many other problems, we are busy shielding one or two of “our own.” Yet thousands and even millions of “our own” are left to their devices. The few that stand out in the light of reconciliation and integration are shunned by their own. They live in fear. They are threatened. Yet, to speak out is their desire. What would be said of this? A neighbour takes another’s property during an ethnic/political conflict. Later on, he comes to his senses and realizes that what he did was wrong. He informs elders and peace stakeholders that he wants to return the property and seeks to reconcile with his/her neighbour. The elders from his community summon him/her and tells this person that he is betraying the community. Or still, one chops off the hand of another. The survivor and the perpetrator know each other and have a recollection of these events. They remain neighbours. The survivor remains willing to forgive the perpetrator. All that the survivor seeks is just the performance of a ritual – slaughter a sheep, share a meal as neighbours and consider this phase behind us- a sign of forgiveness. The intention of such a process is shared with elders. But what next, the elders summon the perpetrator and accuse him of betraying the community. Some of these strong hearts, having been denied an opportunity to reconcile with their guilt and their survivors, end up as far as getting suicidal. Just because “our community” is in denial of these strong hearted men and women’s deeds; no space for healing. “Our community” is the phrase a few people with personal interests have made their subjects and slaves to memorialize and misuse. The phrase makes, the learned, illiterate, wise, fools, poor, rich, sane and even the insane at bar-equals in this madness. It is difficult to differentiate our people when they retreat to their tribal holes-a tragedy of our time! If “our community” is not in tandem with national values, tribal gods should be left to amuse themselves, go to their families, realize they are on their own and come back to their subjects in proper senses. Take your time – with an open mind – and watch “Unfinished Business.” Take your time and go through images in “The Price of Tribal Politics.” You may realize that you are on your own – your rent, electricity, medical, food, et cetera bills, and the reconstruction of our society’s fiber are but your responsibility. Unless they are a project of common utility – where again it is a duty resulting from your responsibility! The National Cohesion and Integration Commission (NCIC) bear the mandate of promoting national unity in Kenya. One of the Commission’s strategic pillars is Reconciliation and Integration. This pillar appreciates that; ‘conflicts are a part of humanity.’ This is a fact that we all must appreciate, collectively. The mere look at this duty of implementation creates an almost foolish feeling that the commission is doing less to facilitate processes that enhance capacities of Kenyans to accept each other irrespective of our diversities. However, the urge of a majority is to be ‘entertained’ by the Commission’s dealing with propagandist utterances and theatrics of the few tribal gods and their agents. What can the Commission do when few tribal gods and their agents – who have a near religious and blind following – resist with authority? Would it be safe to say that communities are in denial of their fellow members’ deeds because of face saving? Or, are communities perceiving conflict resolution initiatives led by outsiders as intrusive and unresponsive to indigenous concepts of justice? The Cohesion Commission and other relevant institutions would be more useful if Kenyans elect to support them in facilitating structures that promote a more meaningful use of the term “Our Community”. Before the introduction of adversarial structures of dealing with conflicts there existed indigenous mechanisms of not only resolving but also transforming conflicts. This culture has been negated over time. It is either we have, over time, hated being ourselves. These structures, whether through elders or committees of them, should be revived because they had a number of important aspects. The law was inseparable from customs, taboos and expectations of communities. These structures aimed at preserving relationships by elders striking conciliatory and therapeutic decisions. They created safe spaces for parties to re-examine themselves – than blaming Satan wrongdoers’ deeds. Because they were community led, they were sensitive to local needs and were a breast of contexts in which conflicts arose. They were less costly. They were more of an educative process. It is an opinion that as the Judiciary (in its 2012 – 2016 transformation framework) strategizes to promote and facilitate alternative forms of dispute resolution, it should collaborate with other institutions including the National Cohesion and Integration Commission to explore into these indigenous structures. Otherwise, there is no true healing and genuine reconciliation when we run away from time bombs. When communities are in denial of their members’ wrong deeds, when accountability mechanisms do not see the light of the day, when we hate our cultures, when we lack appreciation for diversity, when we threaten and eliminate those who stand for the better of a united nation, when we blindly and foolishly ‘worship’ tribal gods. The Court Users Committees (CUC’s) are a key avenue through which Kituo promotes access to justice for all. They are accessible and attempt to find and address the access to justice needs of court users. 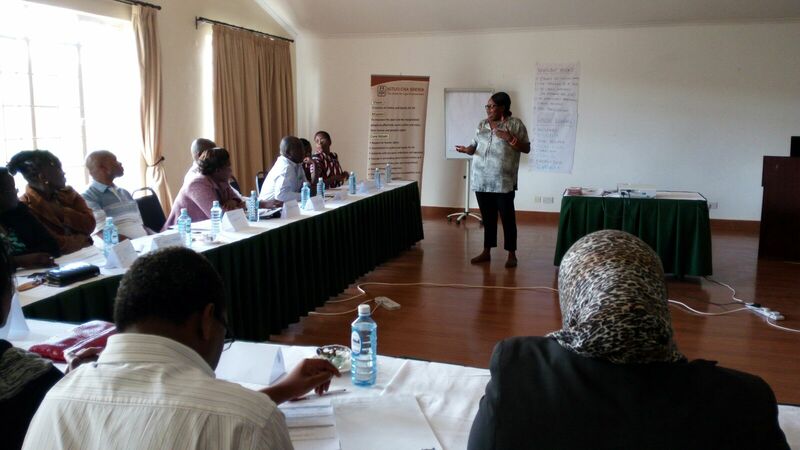 Kituo conducted a capacity building session for CUC’s from the Nairobi region on the 2nd and 3rd of October. The members were drawn from Makadara, Kibera and the Milimani Law Courts.The training took place in Machakos County and a total of 30 participants were trained. Judges, Magistrates, officers from the office of the Deputy Public Prosecution, children officers, and community based paralegals were part of those trained. Participants were trained on the legal framework on Sexual Gender Based Violence, practice in handling SGBV cases which included reporting and evidence protection, complementary support for the victims throughout the trial process and coordination between different actors like Deputy Public Prosecution’s office, police, advocates, magistrate, communities, Judiciary and NGO’s in making survivors access to justice a reality. It was really important to train the Court Users Committee to ensure that survivors are encouraged to report cases of Sexual Gender Based Violence and follow through the formal justice system. The participants agreed that they want SGBV survivors to be protected and to be included as active decision-makers within their societies. They agreed to work together to break the silence and stigma around SGBV, with the goal of creating strong, sustainable, cohesive and protective societies in which women and girls can flourish. They also added that working with the local communities is the best way to make long-lasting change and to reduce negative attitudes and behaviors around GBV and women’s rights. The CUC’s Capacity Building and Learning Forums are ongoing and court users from other regions in the country will be engaged. Access to justice has become an important theme in international debates related to fundamental rights. The International Labour Organization (ILO) has placed this subject at the heart of its policy on protection of migrant workers, in particular during two recent tripartite meetings. Historically human rights organisations and governments have concentrated on the most egregious kinds of human rights abuses such as torture, deaths squads, and detention without trial. This lack of attention to workers’ rights has contributed to workers being seen as expendable in worldwide economic development and their needs and concerns not being adequately represented. Domestic work is one of the world’s oldest occupations. It involves cooking, cleaning, or care for children, the elderly or the disabled, tasks that have been traditionally assigned to women in the vast majority of societies and that have been largely uncompensated. However, domestic work may also include gardening, chauffeuring or providing security services, tasks more often per-formed by men. Despite the important contributions by domestic workers, discrimination, gaps in legal protections, and the hidden nature of their work place them at risk of a wide range of abuses and labour exploitation. In Kenya and around the globe, domestic workers endure excessive hours of work with no rest, underpayment or non-payment of wages, forced confinement, physical and sexual abuse, forced labour, and trafficking. The International Labour Organization (ILO) estimates that children make up nearly 30 percent of the world’s estimated 50 million to 100 million domestic workers. Women are most vulnerable. In Kenya alone, domestic workers are well over 2 Million. That notwithstanding however, it’s important to note that domestic work is not only an important livelihood for workers, but also enables employers to better their standard of living by maintaining employment outside the home. Hence, domestic workers are very important people to any economy. Consequently they should be well taken care of. In developing and developed countries alike, the domestic work sector work absorbs significant numbers of workers, many of whom belong to the poorest segments of society with little access to other work or employment, generally as a result of limited educational opportunities. There is a general stigma that surrounds domestic workers making it very difficult for them to work. In Kenya the stigma surrounding domestic work manifests itself in the mistreatment of domestic workers by their employers. This mistreatment comes in many forms including emotional, physical and sexual abuse and is played out with differing levels of severity all across the country. Without question, however, employer mistreatment of their domestic workers is alarmingly common. An estimated 70 percent of employers, for example, are underpaying and overworking their staff. The Domestic Workers Convention for which Kenya is yet to ratify defines domestic work as work performed in or for a household or households and a Domestic worker as any person engaged in domestic work within an employment relationship or a person who performs domestic work only occasionally or sporadically and not on an occupational basis is not a domestic worker. Statistics show that there are more than one million domestic workers in Kenya. The Kenyan government and other groups studying the issue estimate that almost 2 million households in Nairobi alone employ nannies, cooks, maids and gardeners. Unfortunately, The Kenya Union of Domestic Hotels, Educational Institutions, Hospitals and Allied Workers (KUDHEIHA) is the only available union for domestic workers to join. It has been organizing women workers since 1948, long before independence and they have around 40,000 members in different fields such as chefs, nurses and out of this total; nearly 5,000 are female domestic workers. WHAT RIGHTS DO DOMESTIC WORKERS HAVE? Domestic workers, regardless of age, are still referred to as “house girls” and “house boys,” and are often subjected to abuse and exploitation by their employers. This mistreatment comes in many forms including emotional, financial, physical and sexual abuse and varies in severity across the country. Employer mistreatment of their domestic workers is alarmingly common now days. In some households, domestic workers are not given food by their employers, they work from the wee hours of the morning till late at night, they are underpaid and risk having their pay docked or denied over the tiniest mistake. Many of them are put in danger by the employers, for example locking them in the house when the employer leaves puts them at risk of being unable to escape if there is a fire. In the case of illness, they are denied time off to go visit the doctors and in most cases cannot even afford the healthcare itself. Kenya has legislation to protect the rights of domestic workers but it is rarely enforced. In addition, a few of the women know about the existence of the Kenya Union of Domestic, Hotel, Educational Institutions, Hospitals, and Allied Workers (KUDHEIHA), which was set up to protect their rights. Educating domestic workers who do not understand about Convention 189, the Employment Act, the Domestic Workers Convention, 2011 and their rights generally as worker is also very important. This is one thing that should be taken up by all the relevant stakeholders including the government and the civil society. Kituo Cha Sheria a Legal NGO has an initiative dubbed ‘Dhobi Women’ where they undertake a lot of advocacy work in educating domestic workers of their rights and even providing pro bono legal services in cases where domestic workers have a legal tussle with their employers. There are so many recruitment agencies that train and facilitate the employment of domestic workers especially nannies. Ultimately they end up extorting the domestic workers of their hard earned many in the guise of have secured them jobs. This largely affects domestic workers in Kenya and of late, those recruited for employment in the Arab countries. It is very absurd and indeed dehumanizing to the domestic workers for them to take home the equivalent of 30% of their pay because the remainder was taken by the recruiting bureaus/agencies. The law defines the fundamental rights of employees, provides basic conditions of employment, and regulates the employment of children. It consolidates the law relating to trade unions and trade disputes, provides for the registration, regulation, management and democratization of trade unions and employers’ organisations or federations, and seeks to promote sound labour relations through the protection and promotion of freedom of association, the encouragement of effective collective bargaining and promotion of orderly and expeditious dispute settlement, conducive to social justice and economic development. Provides for the establishment of labour institutions, outlines their functions, powers and duties and other related matters. Provides for compensation to employees for work related injuries and diseases contracted in the course of their employment. The Act establishes a revamped Labour Relations Court that is the same status of the High Court as espoused in the Constitution of Kenya. The Labour Relations Court is established as a court of superior record. The Court is given powers to adjudicate over cases of employment and labour relations. It describes the qualifications, remuneration and security of tenure of the judges of the Industrial Court. It further establishes an Employment and Labour Relations Rules Committee for purposes of making rules for the Court in consultation with the Chief Justice. Provides for the safety, health and welfare of workers and all persons lawfully present at workplaces. Kenya was one of the countries that supported the adoption of Convention 189, which is largely consistent with the provisions that already exist in the Kenyan Constitution and the minimum terms and conditions of employment contained in the country’s Labour Laws. Currently, the only organization within Kenya campaigning exclusively for the rights of house helps is the Centre for Domestic Training and Development in Nairobi (CDTD). The Centre’s approach to the issue is to empower women in their current situation and teach them marketable skills for domestic labour so that they may have a bargaining chip to negotiate for high salaries and fair working terms and conditions. Kituo Cha Sheria equally has a programme for Dhobi women. It organises trainings for them which includes training them on their labour related rights and human rights. Although the CDTD has to date, trained and found decently compensated employment for over 800 women in the last five years, the real change will have to come from within society and from within the government in the form of protective legislation and advocacy on behalf of the rights of domestic workers. Through the Judiciary, Domestic workers in Kenya won a key battle for better employment terms after the High Court affirmed the validity of verbal contracts and imposed heavy penalties on an employer for breach of the same. For domestic workers to effectively realise access to justice, they not only need to be pro active but they too need to be organised. With a collective voice, realising their rights becomes easy. On the other hand there is supposed to be good will from the government in so far as addressing issues affecting the domestic workers is concerned. As noted earlier in this paper, domestic workers constitute a considerable segment of the Kenyan workforce and they indirectly too have an impact on the output by other workers who depend on them to run their homes when they are out there. The Household Work Law in Peru and which was passed in 2003 took many years of struggle, a lot of demonstrations, travelling around the country to win visibility for this work and gain support. At the time, many women who demanded their rights were dismissed by their employers. The domestic workers there worked as a network of household workers’ organisations in ten regions. They visited night schools where household workers might be and also a lot of public awareness was done and articles published. Lobbing was done through the Ministry for Women and the Ministry for Social Affairs for support but unfortunately there was no budget for this, resources such as places to hold conferences was provided. This indicated goodwill from the government and motivated the domestic workers. Eventually they got the new law. It lays down those household workers have the right to a contract with their employer; this does not have to be written but can be verbal. Bonus for Christmas and Independence Day on 28 July. There are many things that we as a country could borrow from Peru in terms of legally recognising domestic workers in addition to doing awareness forums and lobbing for the respect of the domestic workers and the work that they do. For the Kenyan domestic worker to adequately access justice therefore there is need for an understanding and appreciation by the employers that just like any other employee, they deserve to be treated with dignity, that any law that governs workers equally protects the domestic workers as well. The union does not have a collective bargaining agreement to cover this category of workers. Therefore, the union relies on the Employment Act 2007 and the General Wages Order 2009 to ensure that at least domestic workers enjoy the minimum terms of employment. It is important therefore for the Ministry of Labour to ensure that it establishes a wages council for domestic workers so that the tripartite partners can come up with specific working conditions for this sector that may be reviewed from time to time according to existing economic conditions. There is a need for governmental support and sufficient advocacy for and training of domestic workers. Society at large needs to reconstitute its idea of domestic work. The continuation of this negative attitude has left hundreds of thousands of men, women, and children unable to break free of the abuse, neglect, and cycle of poverty associated with working as domestic workers. All stakeholders also need to campaign vigorously for the ratification of Convention 189 and its implementation. Building national, regional and international women’s alliances to resist violence against women in the mining industry. In the last two centuries, the mining sector has grown by heaps and bounds with multinational and national companies scrambling for the rich natural resources embedded in the African continent. The extractives industry has come with a huge price to African women who are exploited within the sector. The imbalance in power relations between African women and mining companies has meant that women within the industry are unable to negotiate installation of mining projects and or better working conditions. The structure within the extractives industry is patriarchal, gendered and viewed as a male space; women who venture into that space are sexually violated, intimidated and ostracized. On the other hand, the negative impact of the industry on environment and health of workers means that women as caregivers and nurturers bear the brunt and burden of these consequences. Drawing from the findings of participatory action research conducted by WoMin partners in Eastern, Western and Southern Africa, women artisanal miners experience unimaginable suffering and violence. WoMin is a women’s only regional alliance that advocates against destructive resource extraction. The Ugandan research revealed that women mining salt at the Katwe Salt Lake acquire skin conditions and sometimes have their uteruses removed due to the concentrated chemicals they are exposed to at the mining site. In the same vein, the Kenyan research found that women small scale miners in Kasighau location are derogatorily labelled zururas (Swahili for “wanderers”) as they challenge gender perceptions of motherhood and marriage by leaving their husbands and children for molnths in search of mining sites. Since these zururas neither own nor control land, they are at the mercy of mainly male landowners to access land for small scale mining. Such access to land may be given in exchange for sexual favours and or gemstones. 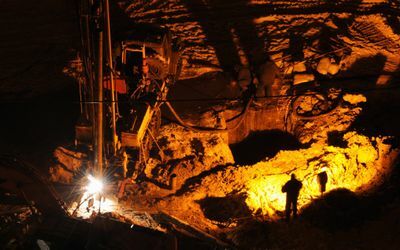 To further illustrate the patriarchal system within the extractives industry, the South African research unveiled the difficulties that women face in acquiring employment within mining companies. The mining companies dismiss women as being inexperienced in the field and incapable of operating machinery. Finally, in Burkina Faso, it was revealed that artisanal women miners in the gold industry are exploited by their male counterparts who leave them with leftovers after they have dug pits in a bid to extract gold ore. These case studies, which traverse Africa, attest to the power dynamics existing within the mining industry which operate at the expense of women. Multinational companies originating from powerful, capitalist and white Western countries exert invisible power over African states who in a bid to improve their local economies enter into oppressive mining agreements in which maximum profits are guaranteed to the corporates. Similarly, there exist power relations between the African states and the local communities whereby royalties from mining fail to contribute towards the development of the locals but rather benefit powerful political elites within governments. The concept of power is also seen within the local communities whereby the black African woman seems powerless as her labour within the extractive industry is exploited, invisible, undervalued and unpaid. The men within these local communities take the fair share of the benefits in the mining industry. Women are left to bear the negative impact of the mining sector through loss of alternative livelihoods such as agriculture due to environmental degradation, caring of ailing husbands, brothers and sons who worked in the mines and rearing of children whilst their husbands venture into underground mines. The powerful players within the mining sector cannot hand over power without a struggle. There is hence an urgent need for the eco-feminists to aggressively organise women’s grassroots, national, regional and international movements to resist further exploitation and violence against women within the mining industry. By building these alliances, women can generate power within and with other women producing an alternative power that can resist the patriarchal and capitalist system entrenched in the mining industry. Such women’s alliances can claim spaces that were either previously denied to women by giving women power to reject mining installations within their communities. Vibrant alliances will transform the mining sector into women’s spaces through which resources within Mother Nature can be sustainably utilised.